Olly Gogarty Fitness Classes, Wexford. I also offer a personal training service where fitness assessments and one-to-one programmes are designed for the individual. This service can be extended to couples or groups of three. At Olly Gogarty Fitness you will find a selection of fitness classes along with strength and conditioning programmes to help you achieve your fitness goals in the areas of weight loss, strength, endurance, flexibility, body composition and toning. These fitness sessions, which run 11 months of the year, from September to July, including circuit training, kettlebell classes and weight loss programmes (run over eight weeks). Whatever your wish concerning your physical condition, If you want sound practical advice on how to make your goals a reality contact me today. 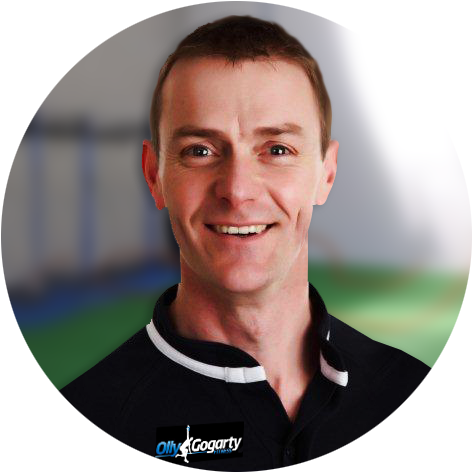 "My mission is to empower my clients to become as fit as their potential allows by challenging them physically in programmes that are rewarding & enjoyable." "Olly is a fantastic coach who knows how to motivate you. He has a wealth of knowledge in all aspects of fitness." "I saw huge improvements in my overall fitness over a short period of time while attending Olly's kettlebell class." "Olly's an extremely dedicated and motivated trainer. I've been attending Olly for 3 years and I'm delighted with the results. I have achieved weight loss, toning & Increased strength." "Olly has a very un-assuming way of getting you to identify your limitations and then ensuring that you exceed them. Clever that." "I could not recommend him highly enough and if you have read this then I urge you to take the next step and pay him a visit, what have you got to lose?"